Fortnite’s rollout on Android continues to be interesting. First, the game is set to bypass the Google Play store in favour of Epic hosting the APK directly on its website. According to a recent study by app analytics firm Sensor Tower, this decision will result in Google losing out on approximately $50 million over the course of the next year. This is due to the fact that Google will be shut out of the 30 percent cut it typically takes from developers that sell their apps, subscriptions and in-app purchases through the Play Store. The average game or app would never be successful with this approach, but given the rampant popularity of Fortnite, this is an easy move for Epic to make. 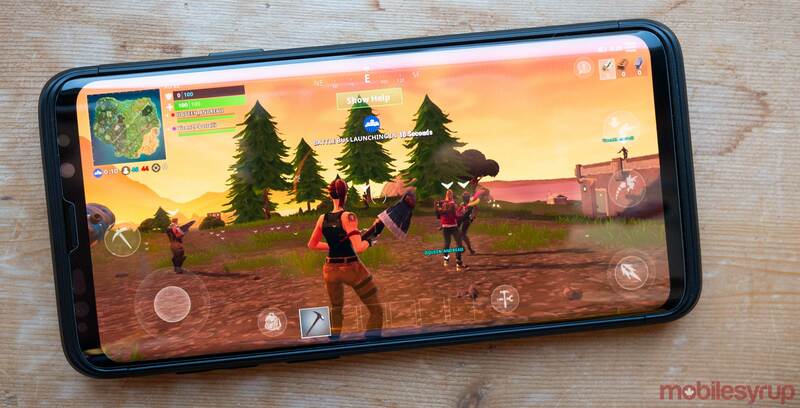 To put this number in perspective, Fortnite earned over $180 million on iOS devices since its initial beta release on March 15th. While a fascinating, relatively unprecedented move on Epic’s part, not listing Fortnite in the Play Store also is inherently risky for users. For example, this gives bad actors ample opportunity to list copycat apps full of malware in an effort to scam users. In fact, Google is even letting Play Store users know that the game isn’t available for download in the Play Store if you search for the Fortnite. Fortnite’s Android beta is currently available on Galaxy S7 and up Samsung devices through the South Korean company’s in-phone Game Launcher app. Fortnite can also be played in full-screen mode using one of Samsung’s DeX adapters. Samsung has also confirmed to MobileSyrup that Fortnite will only be exclusive to Samsung devices “for a few days” and not the previously rumoured 30-day period.